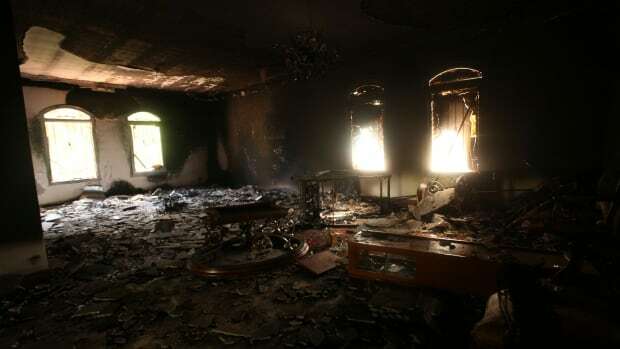 U.S. claims to have killed Tunisian wanted in Benghazi attack. An Islamic State of Iraq and Syria (ISIS) operative suspected of involvement in the 2012 attack on the U.S. diplomatic outpost in Benghazi, Libya, has been killed in a U.S. airstrike in Iraq, the Pentagon said Monday. Ali Awni al-Harzi "operated closely with multiple ISIL-associated extremists throughout North Africa and the Middle East," Defence Department spokesman Col. Steve Warren said in a statement, using another acronym often used for the militant group ISIS. "His death degrades ISIL's ability to integrate North African jihadists into the Syrian and Iraqi fight and removes a jihadist with long ties to international terrorism,." Warren said al-Harzi, a Tunisian national, was killed last week in Mosul, which fell to ISIS forces a year ago. California Rep. Adam Schiff, the top Democrat on the House Intelligence Committee, said al-Harzi "was responsible for planning hundreds of suicide attacks across the world and was one of the first foreign fighters" to join ISIS. Schiff said al-Harzi "was also responsible for recruiting foreign fighters and sending them to the fight in Syria." Schiff added that al-Harzi "was also suspected of involvement in their hostage program, and to have played a role in the ... attack on the U.S. consulate in Benghazi." The Sept. 11, 2012, attack on the U.S. outpost in Benghazi killed four Americans, including U.S. ambassador Chris Stevens. The State Department designated al-Harzi a global terrorist in April.